Where on the East Coast should I invest in real estate? The answer to your question will not require much time on my part, or your part, and will possibly lead to thinking about the solution differently. It will work most anywhere in the United States. Reader Question: Hello Monty. 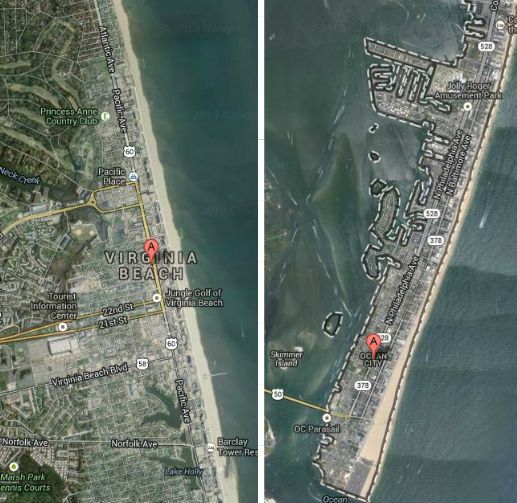 I would like to know the investment advantages and disadvantages noted between the homes located in recreational areas of the ocean beaches of Maryland vs. Virginia. 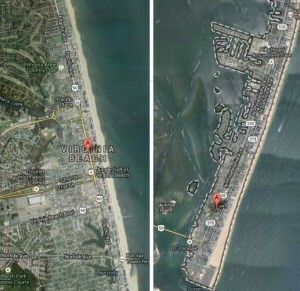 As an example; homes located in Ocean City, Maryland vs. Virginia Beach, Virginia. I am looking for long-term advantages, resale, rental streams, noted replacement or new construction prices per square foot, overall neighborhoods, and master plans affecting developments in the areas. Ideas of your own personal acquaintances of the areas would also be helpful. Thanks. Susan D.
Monty’s Answer: Hello Susan, and thanks for your question. The question you are asking is not my area of expertise. I want to avoid being an “expert” on subjects I don’t know. Just to be clear, I did not see the real estate meltdown of 2008/09 coming. As a columnist, I do not undertake the responsibility of making predictions. The meltdown just mentioned is a reason that so many prognosticators should have retired at the time, but they are still prognosticating. One could formulate an answer based on market research making a case one of these two locations is better for investment real estate. I suspect that I could make a case either way, and still be correct. The most pronounced commonality between these communities is the ocean. A quick review of the census demographics suggests they are quite different in many ways. Either one of us can quickly identify residents or investors who are highly successful in each of these markets, and others who have not done so well. Studies, public information and surveys ultimately commingle the numbers to establish averages or median statistics. This can be helpful information to have, but can be inconsequential if overpaying for a property. Your question is ultimately about you as an individual. Your individual results, when compared to the masses, can be amazingly different. Another simple way to learn about real differences in the two markets is to speak with business owners that operate in both markets. Retail type businesses such as home improvements, jewelry or swimming pools just to name a few. I recall a conversation I had some years ago with a carpet company executive discussing the differences between two cities in Wisconsin. His answer was, “In the city “A” customers pay up to $20.00 a yard for carpet. In city “B”, $20.00 per yard is the starting price for carpeting.” They are less than 50 miles apart. Understanding the fundamentals of negotiating, real estate investment and appraisal techniques are the most valuable skills toward achieving success in real estate. Real estate as an investment is a business where the people that prosper have a keen eye for creating value, regardless of the demographics. They seem to know which way the city is expanding and what types of investment a neighborhood needs. They are extremely good at listening to many opinions and theories and boiling down to the answers for future outcomes from those conversations. They know how to find the players whose opinions have the most strength. Yet, sometimes they are just plain lucky. It will not make much difference which market you chose. My answer is to choose the market you feel the most comfortable spending time around, especially if the investment you have in mind is a home on the beach. This is not the answer you were looking for, but in my opinion, it is better answered in this fashion. It is what I believe. I hope it is helpful, Susan. Ask me other questions.